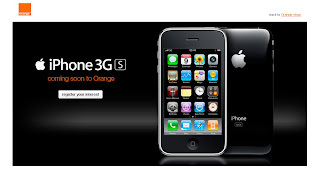 So, remember that rumour sometime back that T-Mobile and Orange might be getting the iPhone once O2's exclusive contract expires with Apple. Well, lo and behold! Looks like Orange subscribers will be getting their wish and would probably have their iPhones before Christmas. We have confirmation from Orange themselves. The announcement is plastered on their newsroom and they already have a dedicated iPhone page. T-Mobile subscribers, don't fret, I'm sure T-Mobile would soon follow with their own announcement. Voda subscribers, well, better keep wishing. But since when do you call "smartphone" a phone with no Flash, no Java, poor Exchange integration, poor Office integration, poor Windows integration, and no multitasking?